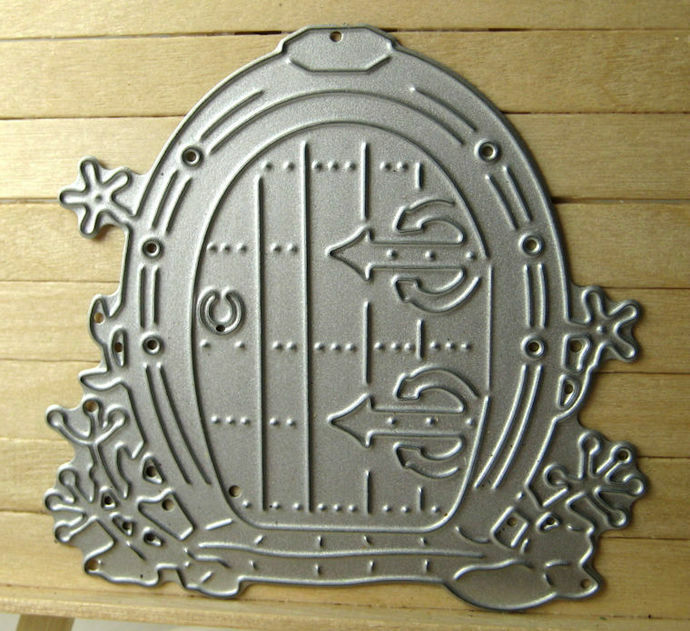 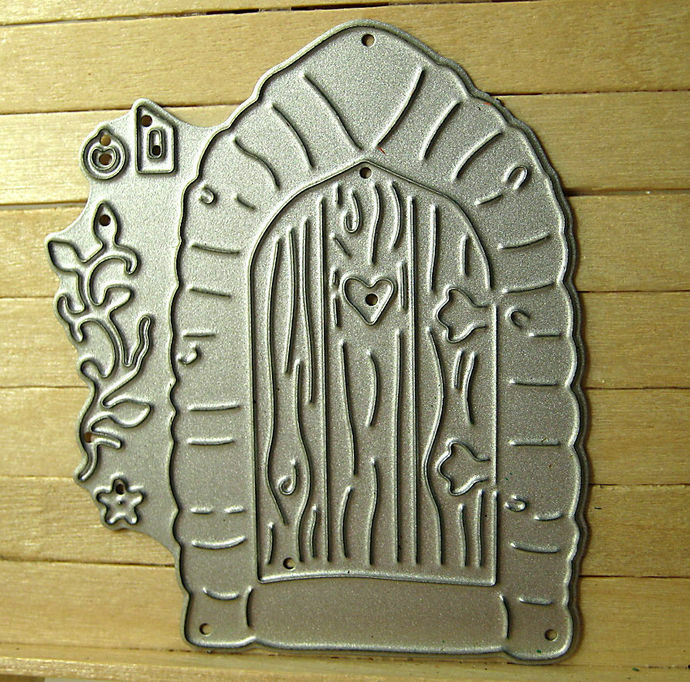 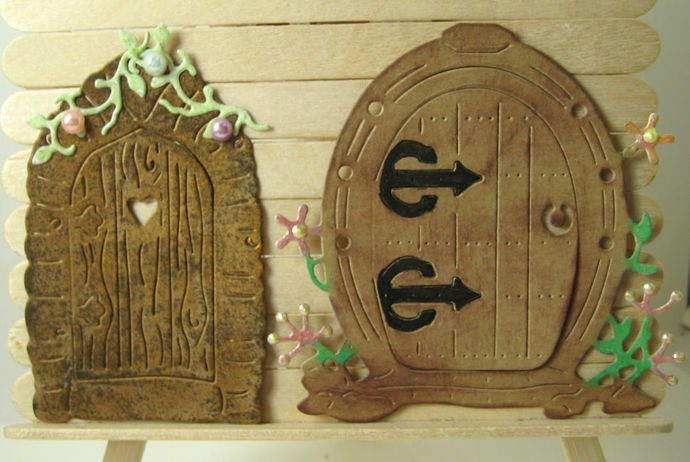 3pc Fairy House Die Set, dies range from 2 & 9/16" to 2 & 3/4" tall. 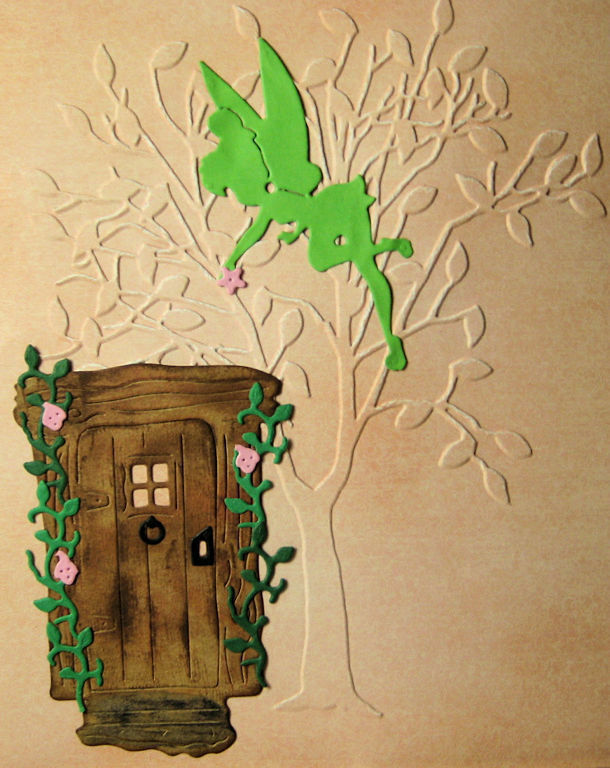 I mixed some of the pieces from one house to another. 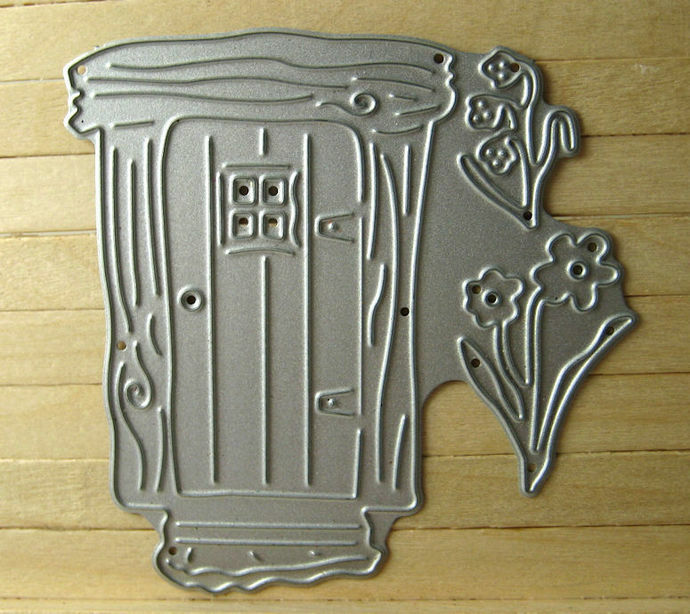 I didn't cut all the pieces for my examples like the flowers.